With state of art fully automated fuelling mechanism that is cheating and adulteration proof and a fuel that is better than diesel in quality, performance, economy and emissions, MEE fuel stations are going to attract millions of users and followers. You can become a part of MEE fuel retailing network by enrolling as a franchise partner and operate your own MEE fuel station. 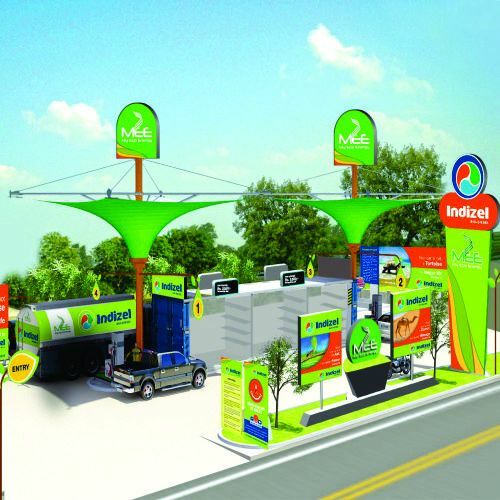 MEE Fuel Station Franchise business model is a standard Company – Franchise model in which MEE teams with Franchise Partner to build MEE Fuel Stations, supplying their flagship product, Indizel. In this model, Franchise Partner invests in Land, Licenses, Infrastructure and Operations and MEE provides Product, Design, Model, Permission support, Brand Promotions and Business Support. Apply here to become a MEE Fuel Station Franchisee.Applicants can also call on 998 377 4445 or email on mumbai@myecoenergy.in and share their contact and land details. On receiving the application, MEE Sales Team will get in touch with the applicant to assess their eligibility. They will then scrutinize the application, supporting documents, land area and location and applicant’s financial background. A land survey will be conducted and if the land location is found feasible, the application is processed further. Once the application is approved, MEE issues a Letter of Allotment to the Franchisee. Applicant is then asked to submit required documents, bank guarantee, credit franchisee fee, and security deposit. Post receipt of deposit, MEE and Franchisee will enter in an agreement to build and operate MEE Fuel Station. Provide site design and material specifications and ensure that the fuel station is built as per MEE standards.